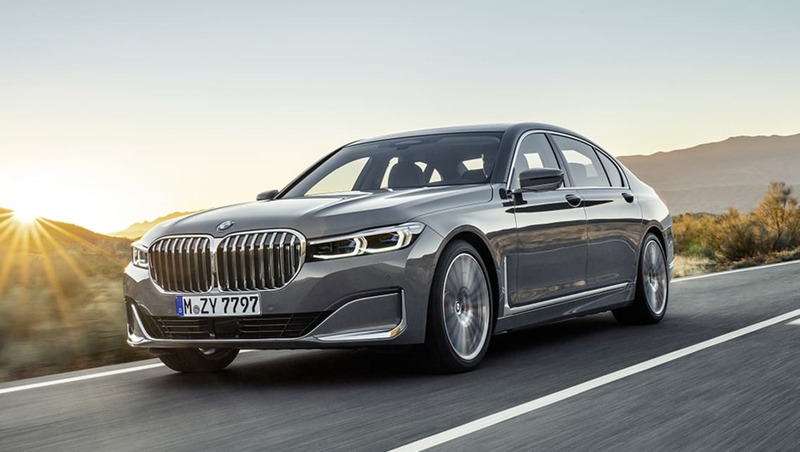 The new 7 Series features a super-sized version of the brand’s signature ‘kidney grille’. The six model range consists of four standard and two long wheelbase variants. Inside, there's a 12.3-inch customisable digital instrument cluster and a 10.25-inch multimedia display. BMW has confirmed Australian pricing and specification for its refreshed 7 Series flagship sedan. Revealed in January this year, and scheduled for local launch in June, the new upper-luxury four-door features “distinctive exterior elements” including a super-sized version of the brand’s signature ‘kidney grille’ and a range of new interior materials including ‘exclusive leather with extended quilting’. 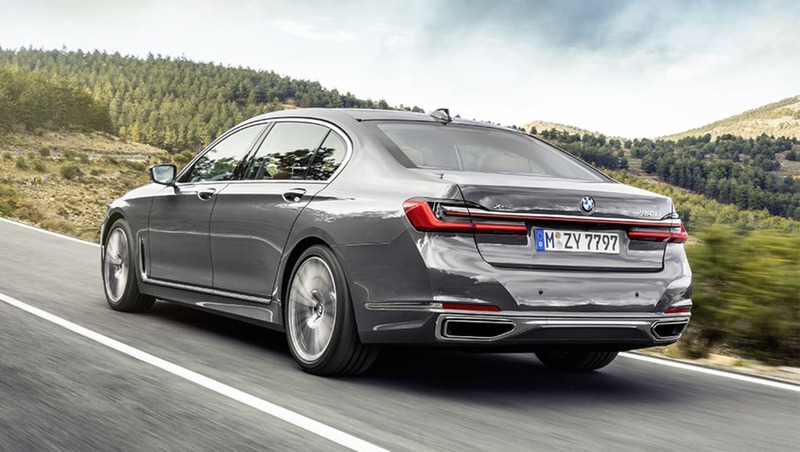 Four standard and two long wheelbase variants (each 22mm longer overall than their predecessors) make up the six-model range, starting with the 730d at $199,900 (before on-road costs) and topping out with the M760Li xDrive at $378,900. BMW’s ‘Laserlight’ laser headlights are standard on all models with additional sound insulation also incorporated across the line-up. Also included is ‘BMW Live Cockpit Professional’ comprising a 12.3-inch customisable digital instrument cluster and a 10.25-inch multimedia display. 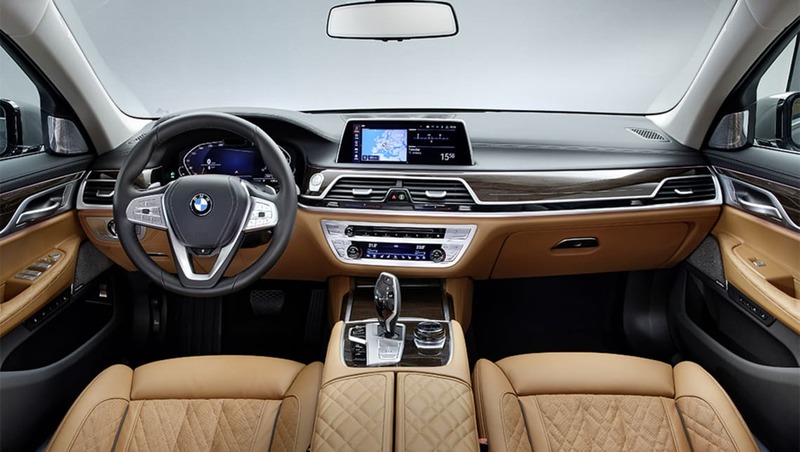 Other standard features include ‘Navigation System Professional’, a head-up display, a voice recognition system and an ‘Intelligent Personal Assistant’ answering to the default phrase, ‘Hey BMW’. The 730d is powered by a 3.0-litre, six-cylinder turbo-diesel producing 195kW/620Nm and driving the rear wheels, the 740i (and long wheelbase 740Li) feature a 3.0-litre, six cylinder turbo-petrol engine (250kW/450Nm), the 745e PHEV combines the 3.0-litre petrol six with a synchronous electric motor (290kW/600Nm), the 750i xDrive adds a twin-turbo petrol V8 (390kW/750Nm) and all-wheel drive, while the top-shelf M760Li X Drive is propelled by a 6.6-litre twin-turbo V12 petrol engine (448kW/850Nm) capable of thrusting it from 0-100km/h in just 3.8sec. Is the new BMW 7 Series your kind of luxury limo? Tell us what you think in the comments below.